Rejuvenate. Refresh. Renew. Give your skin a revival with this simple, invigorating, exfoliating scrub specifically formulated to brighten, soften and moisturize the face. 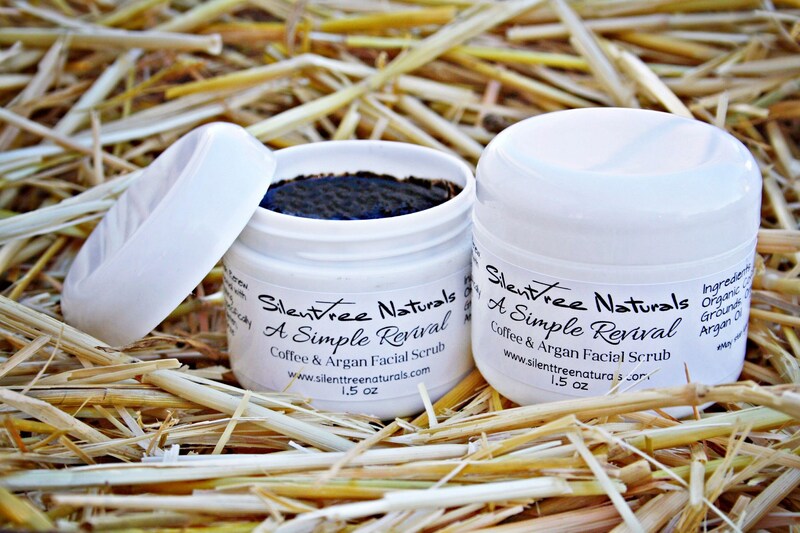 Coffee is a fantastic natural exfoliant rich in antioxidants. Caffeine tightens capillaries, brightens skin, reduces the appearance of cellulite, diminishes puffiness and may be beneficial for varicose veins and age spots, while the caffeic acid boasts-inflammatory effects and may boost collagen production. Argan oil, which also contains caffeic acid, is rich with vitamin A and vitamin E. packed with antioxidants, omega-6 fatty acids and linoleic acid. Argan oil benefits include easing inflammation, helping to reduce dark spots and scars, while soothing and promoting healing for skin conditions, such as acne. It moisturizes the skin, restores elasticity and leaves skin feeling plumper and softer. Your face will be rejuvenate and refreshed, soft, smooth and hydrated.